The last time I remember grinning like a fool in a government office was when we got our marriage license 30 years ago. There we were again last week, filling out forms, answering questions and grinning like fools. This time it was to get our visas to Taiwan. The very nice people in the office were kind enough to not openly laugh at our enthusiasm. This week we also found out more about where we will be living. The teachers who are moving out sent us pictures and it looks lovely – fairly new, on an interesting street, and with three bedrooms! We are going to buy the furniture and household stuff from them (right down to the food in the cupboard) so they won’t have to move as much and we will be able to just walk right in to what we need to get started. Even better, they sent us a map with their favorite restaurants (Thai, hamburgers, and three Indian restaurants) and their favorite hiking spots. 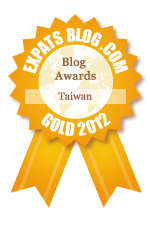 Visas and plane tickets in hand, we’re ready to move to Taichung! Uh, except for the packing. Lots and lots of packing. We’re busy making lists and getting ready for Dan and Betsy’s big adventure. We’ll post more as we get closer to going. Right now we are scheduled to move to Taichung on July 12.